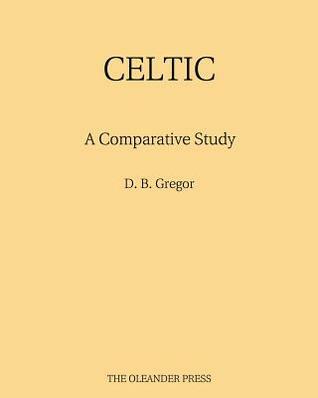 The core of this work is an examination in depth of six Celtic languages: Irish, Gaelic, Manx (all correctly called Gaelic by their speakers), and Welsh, Cornish and Breton (three cousins of the first group). It is the core because the rest of the work grows out of it; and its consequently central position is intended to mark the peak between flowering and decline. The requiem for Manx in these pages is included because its loss is doubly painful for having happened in our own day. It is time that languages were regarded as part of the ecological scene, and the end of one of them felt as deeply as the extinction of a species. It is hoped that this work will leave the reader in that frame of mind: willing to halt the further decline of the Celtic languages. Part of the Oleander Classics series, this 1980 title has been reproduced using the highest-quality modern scanning technology. This is in order to keep important works from the Press’s 50-year history from going out of print. In this way, the invaluable resources provided by this and other books in the series remain available for general readers, academics and other interested parties. I really loved this book as I said before and I would recommend it, but I would also recommend checking the information in it for the latest in the fields of history and linguistics. Synopsis: In the third century, the great High King of Ireland, Cormac Mac Airt, stepped down from the throne to make way for his son, Carbre. To help his son prepare for the task of ruling Ireland, Cormac composed a poem outlining the best way to live and to rule. His Teagasca (“Instructions”) survived and were passed down through the centuries until they were written down by Christian poets and monks. This volume presents a new translation, based on the 1908 translation by Kuno Meyer, with extensive annotations and a new understanding that bring this classic manual of instruction into the 21st century. Review: I was very excited to get and read this book. It is about time that the big names in the Celtic Reconstructionist community started putting out these types of books for others to read and learn from. As the synopsis says this is a new translation of the Instructions of Cormac Mac Airt, which is based on Kuno Meyer’s 1908 translation. The author having noticed that Meyer had a lot of clumsy lines took the time to look at other translations and compare them to get the best wording for the book. He also in many instances tried to take out the overt Christian references to God and switched it to Gods, in some instances that was not possible though so he left those as is. I loved the annotations he added to the translations he gave. They gave me a lot of extra information on linguistics and also on how the Irish society may have worked, at least on paper. As you can see from the page count, it isn’t a long book, but it is certainly one that is worth having.